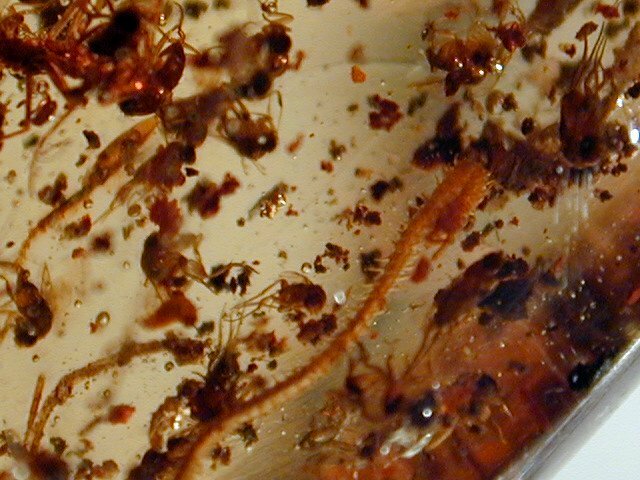 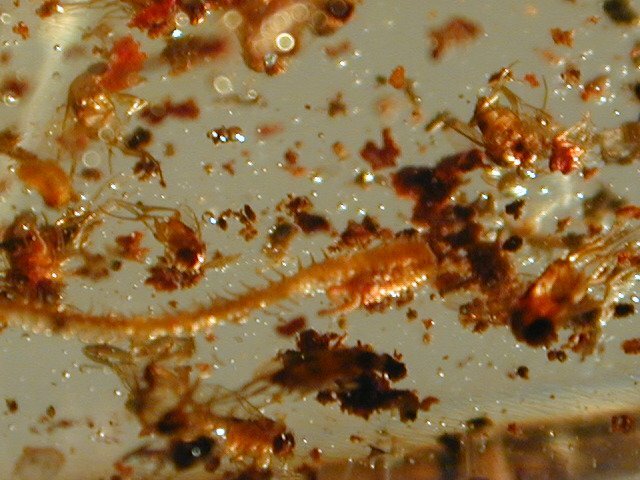 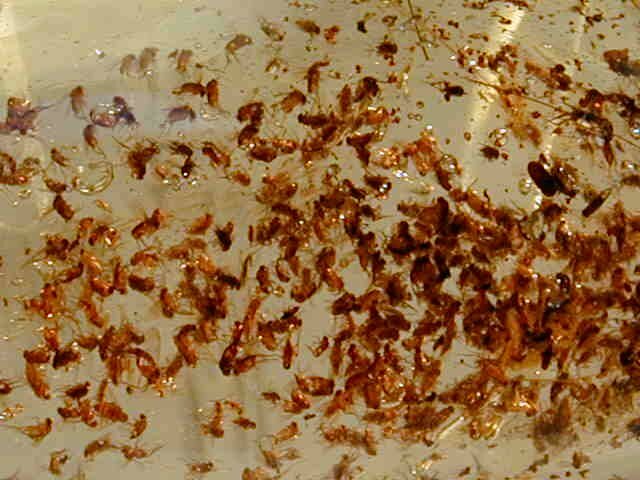 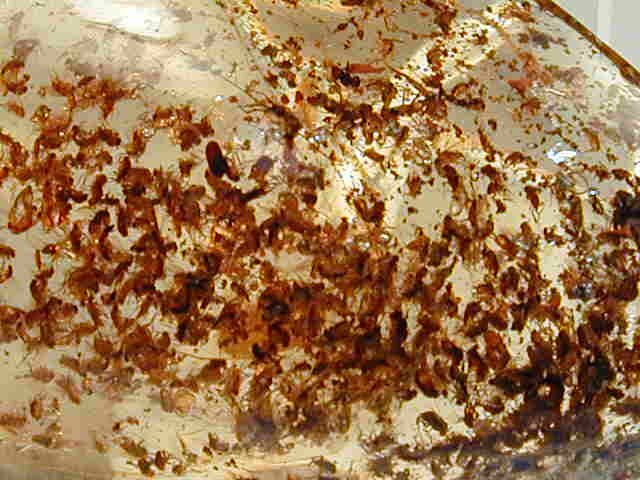 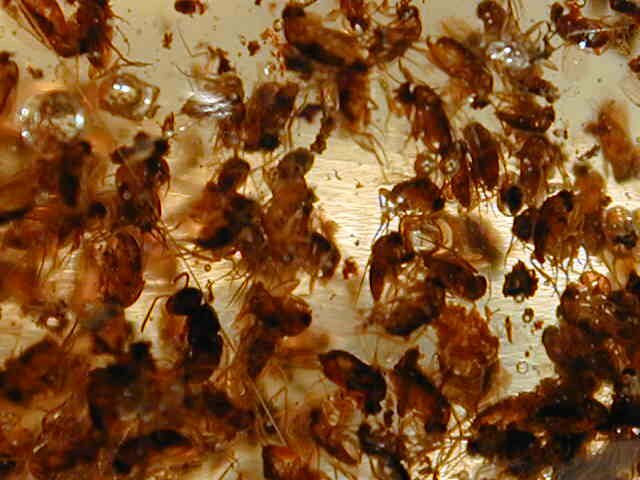 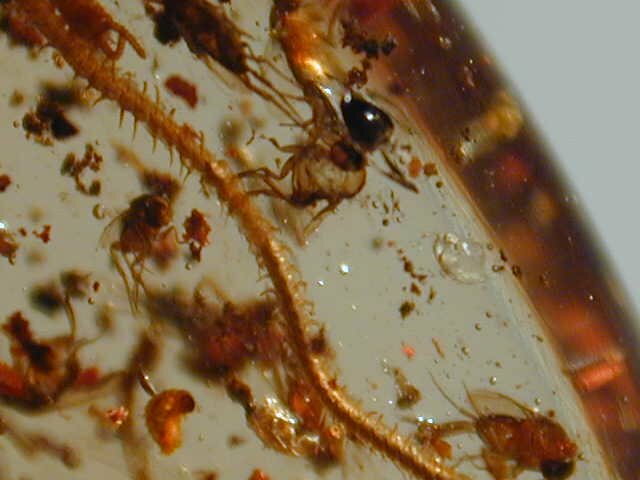 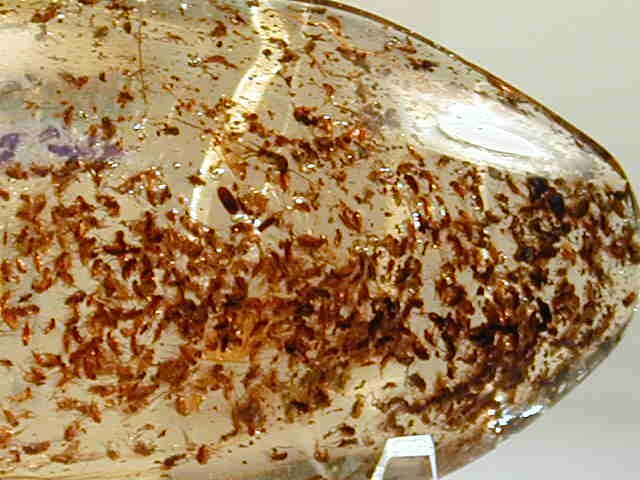 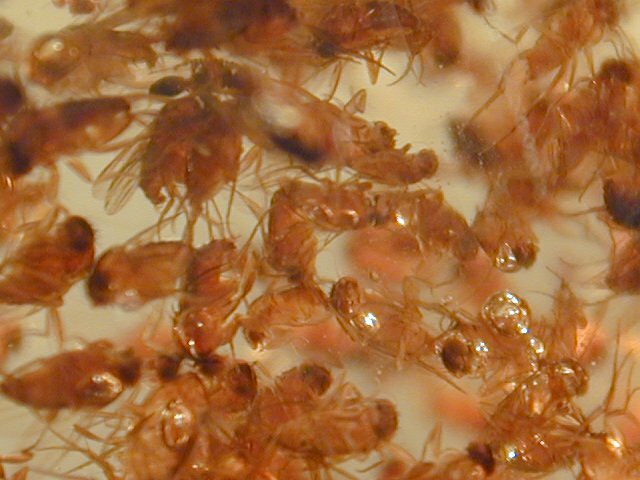 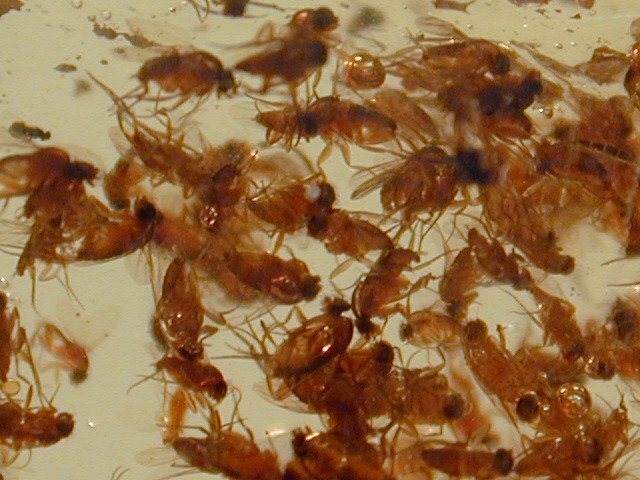 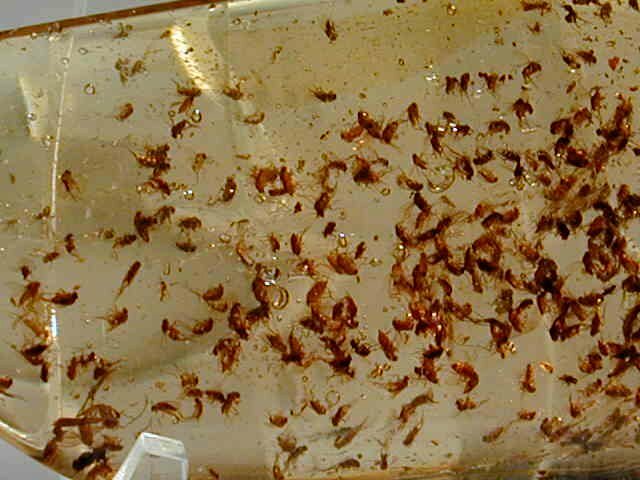 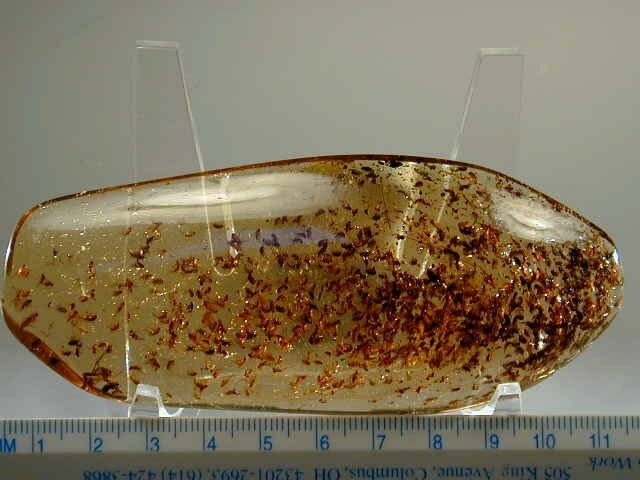 There 300 insects in this large fossil amber specimen. 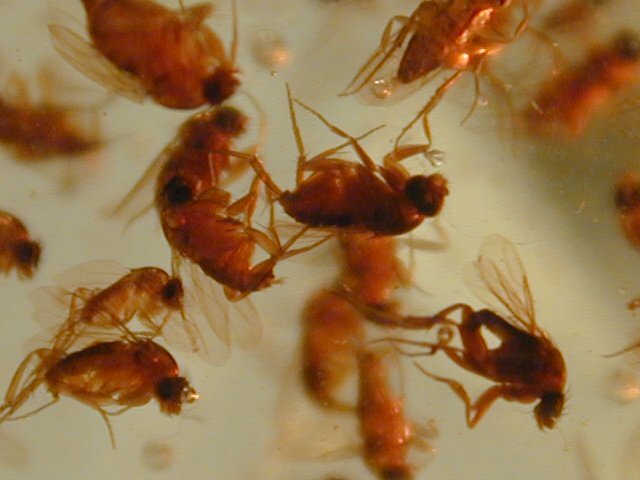 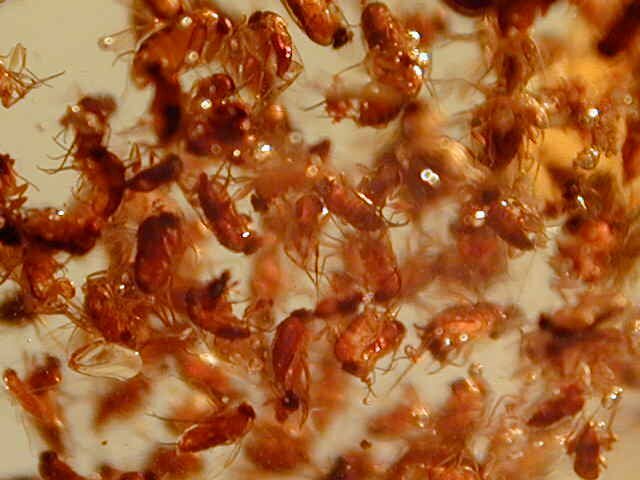 Mostly they are Dipterans. 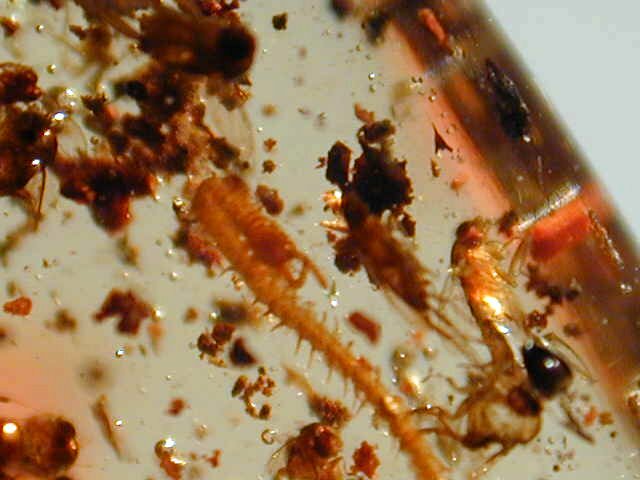 There is another Arthropod inclusion from Subphylum Myriapoda, a centipede. 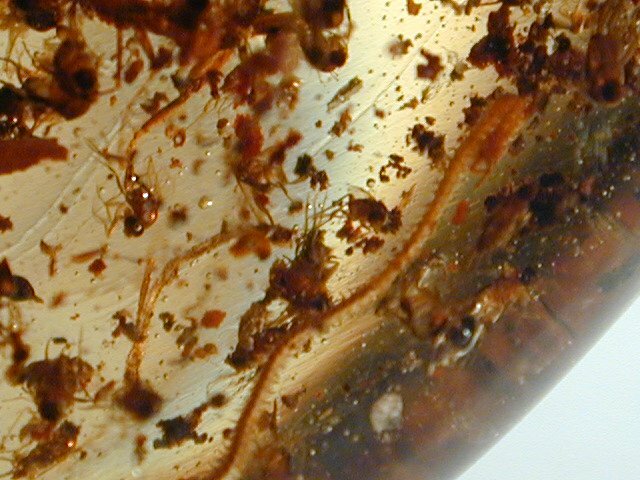 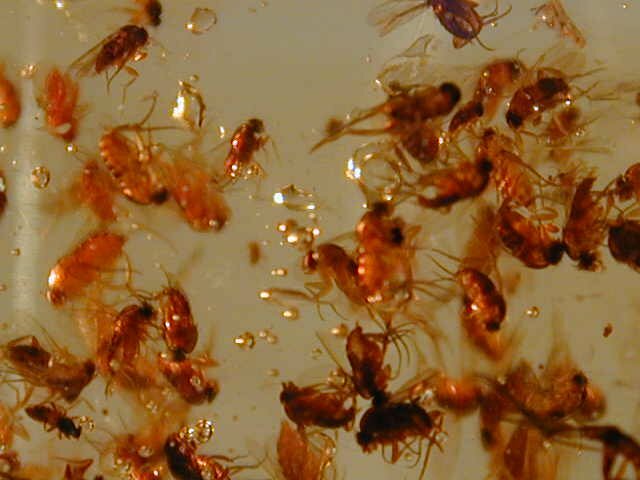 Centipedes are extremely rare in amber. 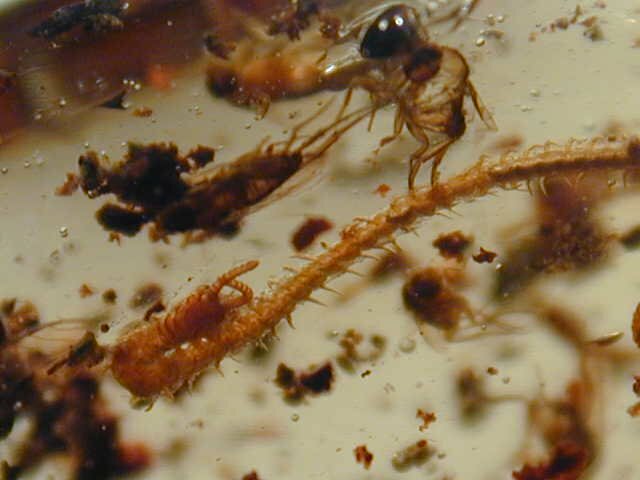 This specimen is a member of Family Geophilidae, as confirmed by Professor Robert Woodruff, Entomologist Emeritist. 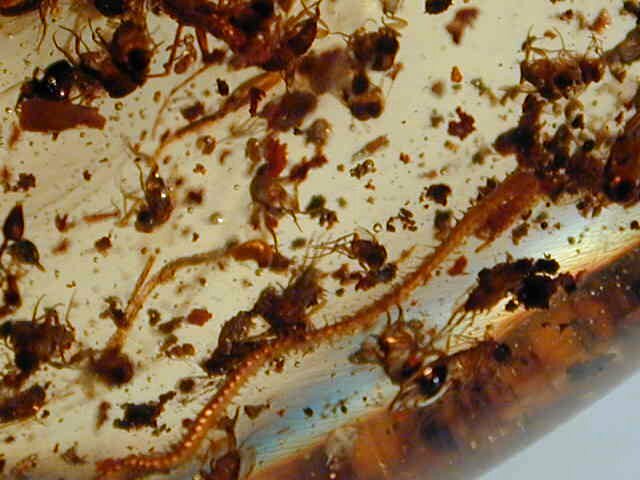 The name Geophilidae means "soil loving"' hence the common term Soil Centipedes. 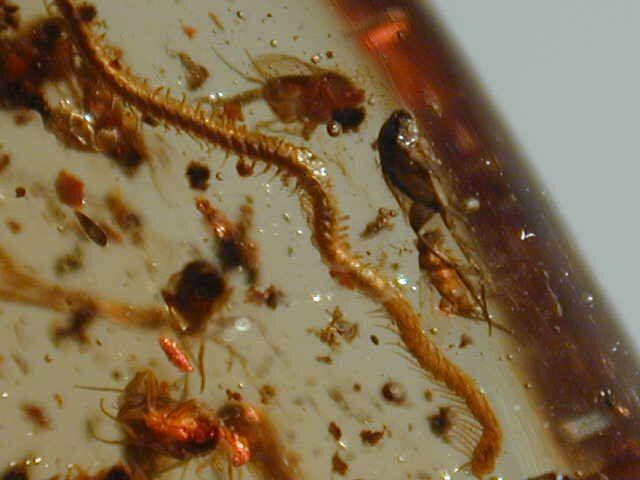 The Centipedes differ from Millipedes in having a single pair of legs per segment, The Geophilidae can have anywhere from 31 to 173 pairs of legs, giving them their ribbonlike appearance.